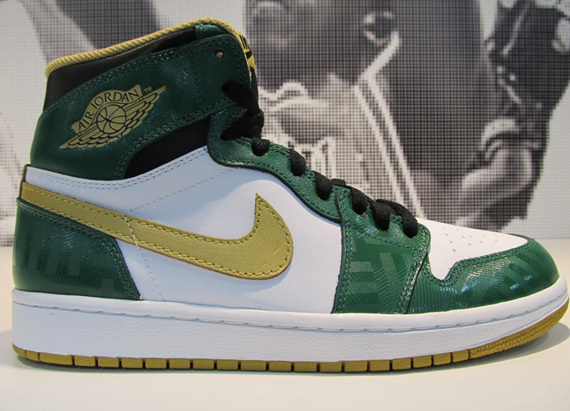 This weekend will take us back to the days of MJ and Bird battling it out with the arrival of this Boston Garden-inspired AJ 1 Retro Hi OG. Complete with classic Nike Air tongue branding, the Air Jordan 1 Retro Hi celebrates MJ's early days in the league as he battled the Celtics and the great Larry Bird. The iconic silhouette sports a white leather base and clover green overlays, which feature a tonal graphic inspired by the Boston Garden's classic hardwood. 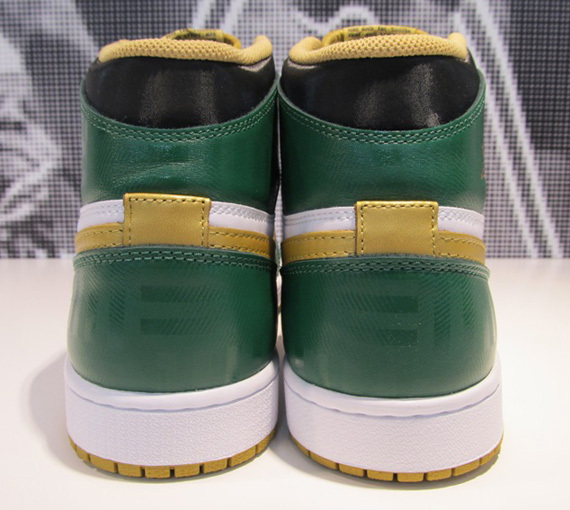 Hits of gold finish off the classic colorway, handling the collar lining, outsole, Swoosh and Air Jordan Wings logos. 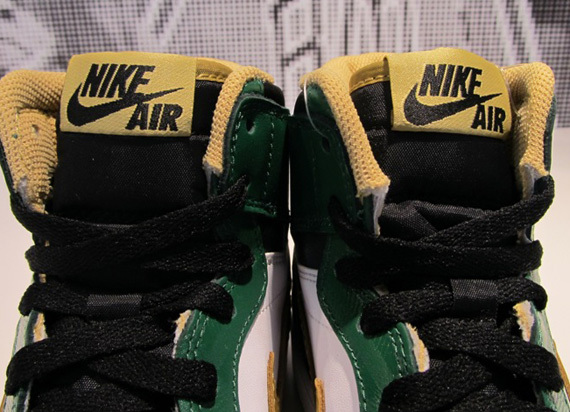 The Boston Garden-inspired Air Jordan 1 Retro Hi OG is scheduled to release this Saturday, April 6th at select Jordan Brand accounts nationwide.